The old lady stopped to listen to the busker, then started singing “Amazing Grace” a capella; then he began accompanying her. So spontaneous. The Asian guy on the bike just stopped and listened until they had finished. He was totally intrigued, as was I. 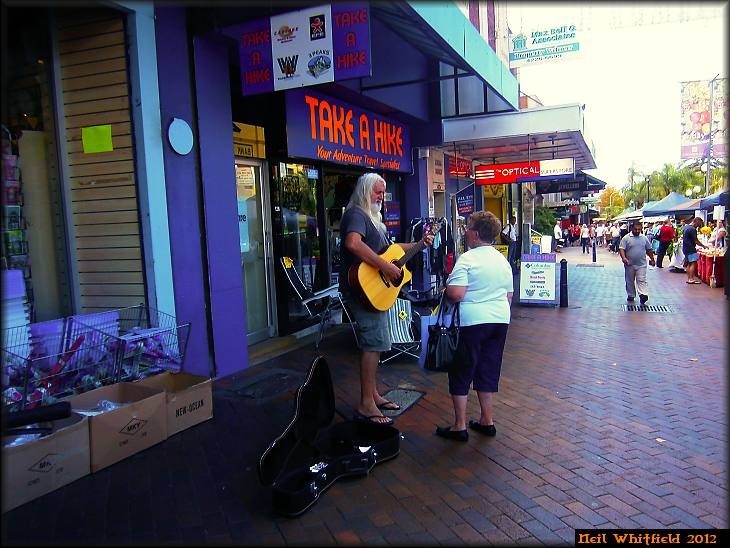 This entry was posted in Autumn light, multicultural, people, street shots, Wollongong. Bookmark the permalink.